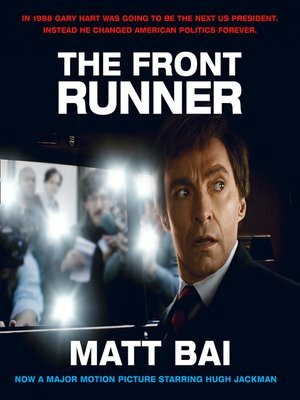 Now a major motion picture starring Hugh Jackman. When politics went tabloid... In May 1987, Colorado Senator Gary Hart seemed like a no-brainer for the Democratic party's presidential nomination. He was articulate, dashing, refreshingly progressive and led George H. W. Bush by double digits in the polls. However, he was also a deeply private man, uneasy when attention moved away from his political views to his personal life. Then, in one tumultuous week, it all came crashing down. Rumours of marital infidelity, a photo of Hart and a model snapped near a fatefully-named yacht, and a newspaper's stakeout of Hart's home resulted in a media frenzy the likes of which had never been seen before. Through the spellbindingly reported story of the Senator's fall from grace, Matt Bai, Yahoo News columnist and former chief political correspondent for The New York Times Magazine, revisits the Gary Hart affair and unpicks how one man's tragedy forever changed the nature of political media and, by extension, politics itself. This was the moment when the paradigm shifted – private lives became public; news became entertainment; and politics became tabloid.